Rivers Four Point Semaphore Locks are a high security locking system for solid core double door units. The locks come in two configuration – Series 410 & 420 (refer to the table below for details). The locks utilise four 25mm x 10mm locking bars. One locking bar throws 45mm to the head of the door frame, while a second locking bar throws 45mm into the floor. The other two locking bars tie the door leaves together by engaging into “receiving cups” attached to the passive door leaf. Semaphore locks are made to order based on the opening/door height. All Rivers Semaphore locks are fitted with an internal lever handle that rotates downward through ninety degrees to disengage the locking bars. 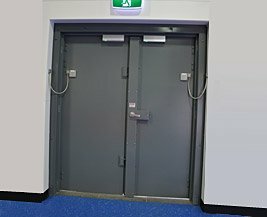 As a result of this feature the lock complies with the Building Code of Australia for use in emergency egress applications. Rivers Semaphore Locks are used on double door sets only. 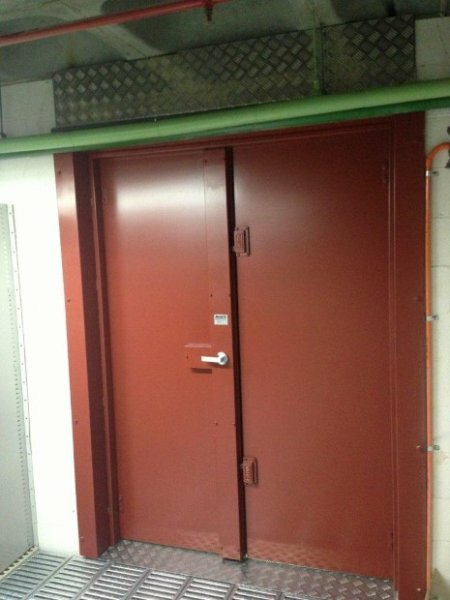 They are recommended for use in financial institutions, schools, government buildings, shopping centers, council amenities buildings, cash rooms, computer rooms, warehouses, record storage rooms, retail outlets, rear entry doors and fire exists. In fact, the Rivers Semaphore Lock is ideal for any application where security is the utmost priority. For ultimate security and protection Rivers locks should be used in conjunction with a Rivers high security double door and frame assembly. Series 410 and 420 come with an internal brass chrome plated lever handle. Series 420 hardware includes an external brass chrome plated lever handle, a 201 cylinder and a hardened steel cylinder shield with anti-drill disk. The Rivers Four Point Semaphore Lock is finished ina gre zinc rich primer as standard. Special colours are available upon request. Rivers Semaphore Four Point Locking bar is surface mounted to the inside of solid double door units. 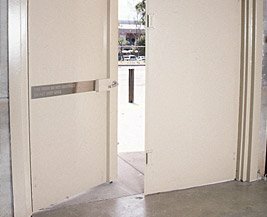 For a pair of open out doors one locking bar extends upward into a slot cut into the head of the door frame, while the second vertical bar extends downward into a neat cavity made in the flooring. Two receiving cups are surface mounted in a predetermined position on the passive door leaf to house the remaining two locking bars. 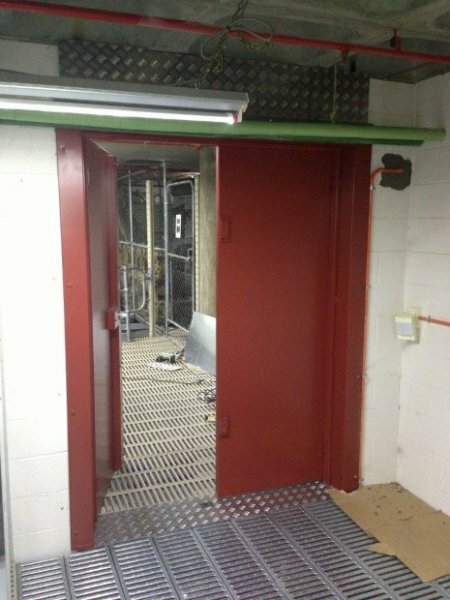 Open in doors utilise a locking bar keeper fitted to the inside face at the head of the door frame to secure one locking bar, while the remaining three locking bars are secured as described above. Rivers can provide experienced installers to correctly fit four point locks ensuring security and reliable service. Locks can be fitted by trained locksmiths. Refer to fitting instructions provided with the lock.